LOVEanon: Dating in the 21st Century, Pt. 1: The End of Courtship? Dating in the 21st Century, Pt. 1: The End of Courtship? Marhaba LOVEanese! I'm really excited to write this post because I feel like it's the perfect time. Before I get into it, I have MUCH news and many things I want to bring to your attention. This is going to be a bit longer of a post, but there's just so much to say. The first is this article. It's all about the "academic paywall," which is basically the way that publishers keep the general public out of academic/industry research. I'm bringing it up simply because I often link to online journals. After I read this article, I realized that if many of you want to read one and aren't currently affiliated with a university, you can't access them. So, in the future, if anyone wants an article, just let me know, and I'll send it to you. After all, I'm a firm believer in open-access research! 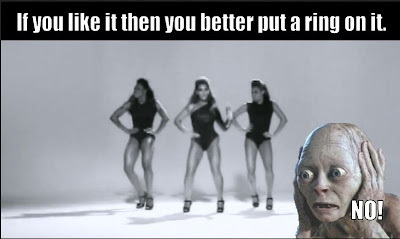 The second interesting article I wanted to highlight was a show from Al-Jazeera's "The Stream" entitled: All The Single Ladies. It's discussing how changing attitudes regarding work, individualization, marriage, and of course, love are affecting women in China, India, and other parts of Asia specifically (Hmm, that sounds familiar...). Here's the synopsis of the program: "Is it okay to pursue your own path in life--even if it means bringing major disappointment to your family? As the middle class grows in China and India, more women are choosing to delay marriage and children. Instead, they're pursuing their futures independently, devoting themselves to a lifestyle that is not necessarily husband- and kid-friendly. What is the 'right' thing to do?." It's linked above via YouTube, so anyone should be able to watch it too! 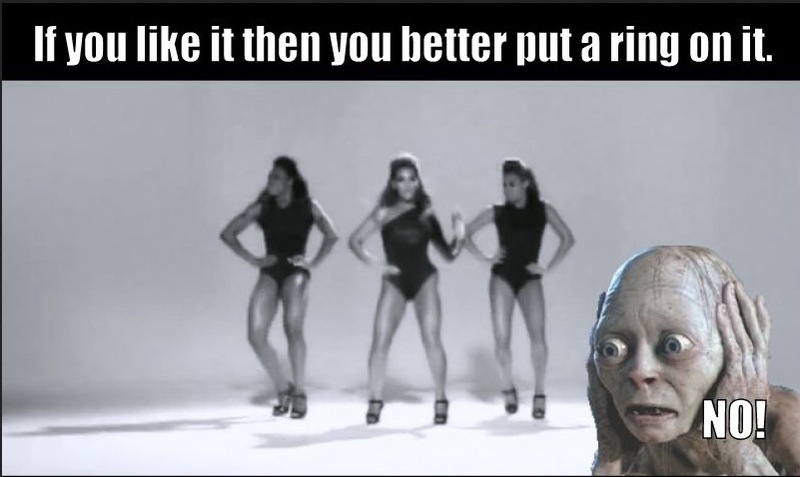 Just hope the "right thing" doesn't involve the "Precious." Lastly, in case you haven't already heard, I have some BIG news. In fact, I have A LOT of big news! 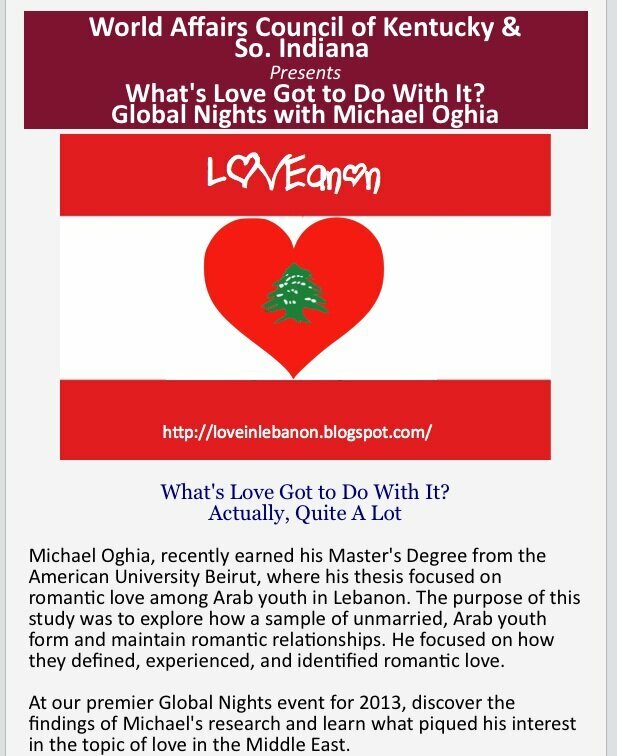 For one, on February 13th, in lieu of Valentine's Day, I gave a presentation at the premiere 2013 Global Nights event of the World Affairs Council of Kentucky and Southern Indiana. It was all about my thesis research, and was a wonderful opportunity to connect my life in Lebanon with my life in Louisville. Moreover, I was the keynote, so I got to spend over 30 minutes discussing it! It was received very well, and everyone seemed to enjoy it. There was a fairly large audience, and they asked great questions. And although it wasn't taped, I was really thankful and grateful for the opportunity! Aside from that, there is actually bigger news. After more than six months of looking, I finally got a job! This, however, is not the biggest news. The biggest news is that it's in Bangalore, and I'm moving to India! As of this Saturday (Feb. 23) when I fly out with a one-way ticket, I'll be wishing good-bye to America once again, and starting a new chapter of my life. I can't describe how exciting this is, and I know that my time in Lebanon has definitely prepared me for this. However, I am also happy that I got to spend the time back in Kentucky that I have. For many reasons too. Getting to spend time with my parents, reconnecting with old friends, strengthening those friendships, moving on, getting over fears, overcoming, reflecting after six long and tough years working on my formal education. It's definitely been wonderful for my personal, physical, and emotional well-being, and given me much time to decompress, reflect, and learn. But now the time is right to move-on from this lesson in life! As far as the job goes, I'll be building a project whose aim is to foster critical thinking and more effective dialogue. So, I'll be working with activists, conducting research, performing outreach, working with/in schools, doing a lot with social media, grant writing, networking with organizations and people, etc. Basically, it's perfect for me! The organization is called Meta-Culture. You can read more about the organization here, and more about what I'll be doing here. As far as the blog goes, no worries! I still plan on blogging, and may I remind you that India is the land of the Kama Sutra. Maybe I'll learn a few things about love(in) after all ;) And when I'm there, I'll be sure to blog and tweet about it. In fact, I've already formulated the Twitter hashtag (#) I'm going to use to talk about all things related to love, relationships, etc. in India: #INDAmacy. It may not be as catchy as #LOVEanon, but it's the only thing I could come up with that incorporated India with a word related to personal relationships! I'll use it, for instance, when I'm talking about increasing amounts of Indian women going to work and challenging gender roles and norms, or how, like in the Arab world, social constraints mean having to balance marrying for love with family and social approval. My heart's about to be colored orange, white, and green (obviously from the curry). "Dating in the 21st century is by far one of the most ridiculous processes ever. People are so complicated. You must play games. You must lie. You have to act like you don't care even if you do. You must date multiple people to keep the attention of that one because it's generally just casual. You must be unavailable if you are too available people get turned off. You have to ignore calls even if you want to pick up. Essentially if you are a true lover, you have to resist everything that comes natural to you to play this f**king "game" you f**king idiots love to play. It changes everything for me to pretend like I don't care. I actually stop giving a f**k." -- Quote from Tumblr. Although the LOVEanon Facebook Page post didn't get much interaction, I was blown away by the amount of people who commented on this status on my personal page, and by the different opinions and sentiment it seemed to evoke. It made me think a bit about dating, and then I saw this New York Times article a few days later: The End of Courtship? Now, you know how the Internet works. Something gets discussed for anywhere between 5 minutes to 2 days, and then is forgotten about forever. I didn't want this post to emerge out of hype or some stupid fad. I wanted to give it attention because I've been thinking about dating a lot recently. Indeed, it seems that dating has lost a lot of it's flair. Now, some people think this is a good thing, others think it's a bad thing. I'm not here to make a judgement one way or another, but I have heard from many different people about this, and as I said, people have strong opinions about it. Regarding the NYT piece above, one friend of a friend said: "This article has such a narrow, mostly white yuppie perspective, and the people profiled sound absurd. If you are 30 and you want to act like a 15-year-old and not demand more than a text message from the guy you're interested in, that's your own damn problem. Technology and online dating apps don't make it more difficult to find meaningful relationships. You bring your values, your desires, and your preferences to them, and it's up to you to be an adult and be clear about what you want in your life, romantic and otherwise. With or without OkCupid." After the NYT article was published, a Huffington Post Women associate editor named Emma Gray wrote a rebuttal article entitled: "Why It's Kind Of Irrelevant Whether 'Courtship' Has Ended." It was a good perspective, but I'm always 50/50 about articles like these. Because I understand what she's saying, and I partially agree. But I'm also perhaps a bit "old-fashioned" still. I definitely do think that there is room to incorporate change into dating, but I seriously think that most people set themselves up for either failure or shallow relationships. And that's what I have a problem with. Yes, enjoy your life, but when it comes down to it, don't forget that if you want kids, your life and your decisions effects theirs. Then again, perhaps that's too much of my own opinion. Consideration is a great thing, and important in all aspects of life--including (or rather, especially) dating. What about you, how do you feel? Do you agree? What's your opinion about the article and the Tumblr quote? I'm curious to think whether you think changes to dating and courtship are good or bad. What are you experiences like? Do you wish you could date more? Do you identify with the people interviewed in the article? Let me know in the comments! And make sure to catch the second post on this topic where I'm going to include links to more articles discussing dating, love, and the changing dynamics of courtship, offer idea for fun dates and tips on how to plan a date, and much to your amusement, I'm going to spill the beans about all the dates I'VE planned/been on in the past. The fun ones, the romantic ones, and even the awkward ones. It should be fun! See you in South Asia! I happened to stumble across your blog today and what a coincidence that your first post is about moving to Bangalore, which is where I am currently writing this from! Until I read this post I hadn't pondered much about the culture of dating, but now that I have I see the immense complexity that surrounds it in India. I'm not entirely sure where to start. I think it's safe to say that only a minor part of India is very 21st in the sense that you mention above. But that is not to say that a bit of the technological advancements haven't made an impact. Having a communication device makes it a lot easier for a guy to woo a girl who isn't allowed to openly interact with him. And she HAS to be the shy, coy one in the equation. For the most part, you have to be pretty certain you love this person before indulging in rampant dating. Dating here isn't so much about making sure you want to be with this person as much as it is a way of spending time until you get married/ convince your parents to let you marry. Then, there is the minor part of India I was talking about before. We have enough television and chick flicks telling us how we must behave and do things, while simultaneously finding it very hard to detach from the being sure about a person before dating them. It is not terribly easy to be aloof or detached with things go south, because most times you date someone you and your friends interact with often which makes it difficult to avoid them eventually. What strikes me the most is how in the same set of friends, rules of dating differ depending on the family one comes from. My parents are alright with me seeing somebody as long as I tell them about it. Infact, my parents are very close to someone I dated in the past to this day because he was welcome in the house at any time. Another friend from my very group is dating someone with a curfew of 7pm and he can't be certain when they're next date will be until the night before because her parents are that protective. I'm sure I seem all over the place and I feel like only barely scratched the surface. 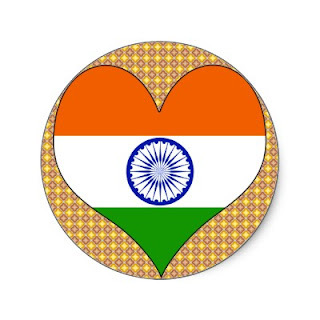 There is a lot of different facets to dating in India. Since we you mentioned a TV show, I would like to talk about one here called "Emotional Atyachar", where a person comes in to get a love test done on the person they're dating. The one being tested is enticed with the person who is not only attractive, but happens to have the same likes and dislikes, and is secretly filmed to see if they would cheat in those circumstances. Inspite of the fact that my parents are more forward that most other parents, they were pretty horrified at how the youth treated dating and how casually we took it all. The show is now into it's third season if I'm not wrong and is fairly successful. Another TV show that I must mention is called 'Swayamvar', this is much like the Bachelor and Bachelorette series you'll have. Swayamvars are an ancient tradition of marrying princesses. The Princes from all the neighboring states arrive and are the princess garlands the one she wishes to marry. The difference though between the Bachelor series and Swayamvar series is that they pick popularly known celebrities who wish to get married. So far they've had 2 unsuccessful allegiances and one infamous politician (I'm pretty certain he came onto the show to change the way people see him) whose marriage is still alive and well. I am going to pause again and reflect on how I've only just barely begun fathoming the immensity of this phenomenon. Either way! I hope the Indian leg of your life will be a successful and happy one, and I'm certain you'll love Bangalore! Text, thank you so, so, so, SO much for your comments! I really apologize it's taken me so long to get back to you. My Internet has been spotty to say the least, and for being in the tech capital of India, I'm a bit disappointed/surprised that it's so hard to find WiFi! Anyways, just to mention, although my blog does focus on the Arab world/Middle East, it is applicable to a general audience. And it's especially relevant to other cultures throughout the world, particularly Asian cultures including Indian and South Asian ones. I completely understand. Much of the "21st century" I refer to and that these writers are mentioning is really only applicable to certain groups of young people--specifically those from Western cultures, those in the middle and upper classes, those with more "liberal" parents, and other characteristics. But you are right too. The Internet has definitely removed some of the barriers to romantic interaction. And I’m not surprised the woman is expected to be shy. Very normal for patriarchal society--the male as the more "aggressive" one. It’s interesting that you say, "you have to be pretty certain you love this person before indulging in rampant dating." "Love" in what way? Lust? Attraction? Social compatibility? The ability to marry? I understand that "dating" is more of a pre-marital ritual here in many cases as opposed to the process that helps you figure out if you want to be with them or not. I also understand about the detaching from them, and the constant barrage of messages related to love, marriage, and dating--from ALL sides! I also found that the rules of dating varies from family to family, to community to community. So, of course it is different! But it sounds like your a bit lucky in that your situation is more of an exception instead of the norm. WOW!! About the first TV show you mentioned!! Is it on YouTube?? Could I watch it somehow? And is it in Hindi?? I'm really loving Bangalore so far! And it's just been a week!